2015 has really started with a bang – I’ve been having so much fun experimenting with new healthy recipes and really trying to adopt this better lifestyle on a daily basis. This week, my sister shares these delicious protein waffles which are the perfect craving after a workout! 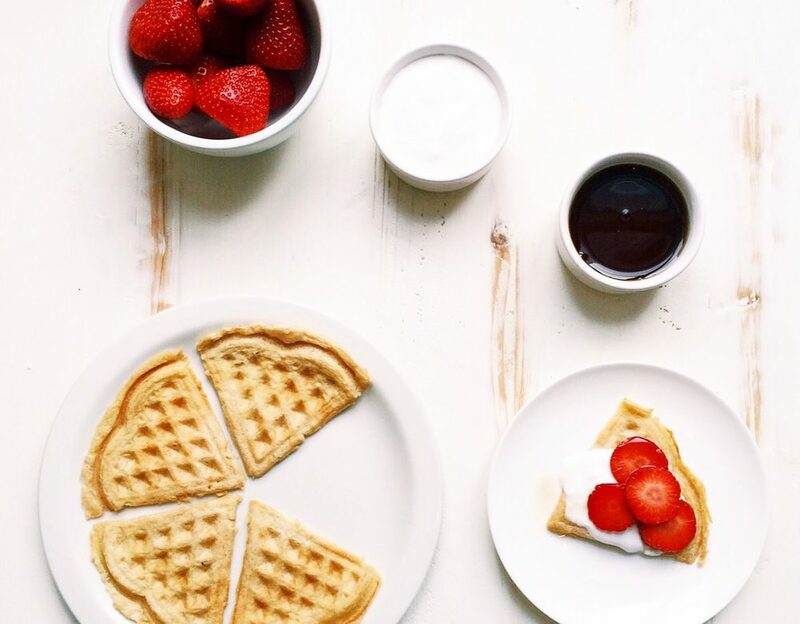 ‘These waffles make the perfect post workout breakfast as they are packed full of protein. It is so important to have protein with every meal to regulate blood sugar levels, leave you feeling full for longer and protein is important for muscle repair after an intense workout’. Mix the dry ingredients separately and then combine with the wet and mix well making sure to mash the banana well so you get an even mixture. You can adjust how much almond milk you use but remember you do not want the batter to be too runny spilling out of the waffle iron, It should be a thick batter. Grease the waffle maker with coconut oil and follow the cooking instructions on your waffle maker. Once ready serve hot with raw honey, coyo coconut yoghurt natural flavour and strawberries. Enjoy!